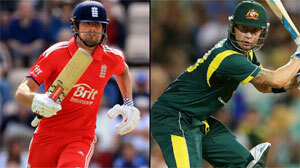 Find ODI match astrology prediction for Third match here. Astrology predictions of Eng vs Aus on September 11, 2013 will tell you who is going to win this match as per astrology. The last grand slam for this year-US Open is reaching to an end. We are two games to go for grand finale. 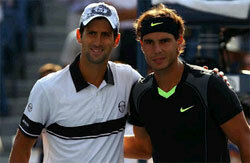 The last grand slam for this year-US Open is reaching to an end. We are two games to go for grand finale. 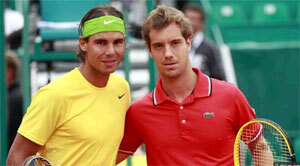 Nadal is dreaming for a victory and will fight with Gasquet today. The last grand slam for this year-US Open is reaching to an end. We are two games to go for grand finale. 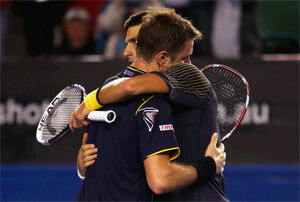 Wawrinka is dreaming for a victory and will fight with Djokovic today. Find T20 match astrology prediction for second match here. Astrology predictions of Eng vs Aus on August 31, 2013 will tell you who is going to win this match as per astrology. Todays match is between Hyderabad Hotshots and Awadhe Warriors on 31st August 2013 in IBL (India Badminton League). Let's see what astrology predicts about IBL's this match and who's going to win it. Todays match is between Mumbai Masters and Awadhe Warriors on 29th August 2013 in IBL (India Badminton League). Let's see what astrology predicts about IBL's this match and who's going to win it. Todays match is between Pune Pistons and Hyderabad Hotshots on 28th August 2013 in IBL (India Badminton League). Let's see what astrology predicts about IBL's this match and who's going to win it. Todays match is between Pune Pistons and Awadhe Warriors on 26th August 2013 in IBL (India Badminton League). Let's see what astrology predicts about IBL's this match and who's going to win it. Todays match is between Krrish Delhi Smashers and Banga Beats on 25th August 2013 in IBL (India Badminton League). Let's see what astrology predicts about IBL's this match and who's going to win it.